I think she’d like a Love2Shop because there;s so much choice available – she would have a variety of shops to choose from. The Marks and Spencer voucher because she loves the clothes and has a secret fetish for their fruit covered in chocolate sweets. My mum would love an amazon card as she loves to read. An Amazon voucher would be lovely as I bought her a Kindle for Christmas which she loves so £50 would be great, she could tick a fair few off her wish list with that! Probably the Marks and Spencer one as she can treat herself to something nice to wear and nibble on too! Mum loves shopping online, so an Amazon voucher would be perfect for her! Amazon card please, she never goes anywhere without her Kindle. Without a doubt my mum would like the Marks and Spencer voucher best – she is always in that shop! My mum would probably love the M&S voucher most – she could treat herself to some nice treats to eat as well as something new to wear! Love2Shop – she likes a nice wide range of choices. I think my mum would love the Debenhams gift voucher as she has always wanted treat herself to a nice bedding set. I know she’d love a restaurant choice gift voucher so she can go out for a yummy meal which she very rarely does. My mother in law would love the Marks & Spencer voucher as she buys quite a lot from their stores and also loves their food hall. My mum would love Amazon vouchers! Marks and Spencers voucher as this is more of a treat and can be used for clothes and food goodies especially the chocolate! The Love2Shop voucher would be best for my Mum, as she is always changing her mind! 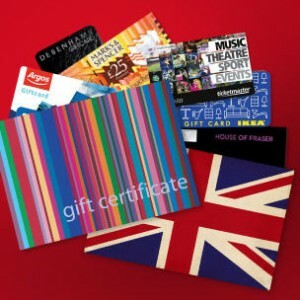 My mum loves shopping, Love2Shop vouchers would be perfect for her, they give her variety! Love2Shop, as then she could choose somewhere to treat herself – whether it was to a new toaster, which she needs, or just something frivolous like some nice jewellery! It would have to be M&S. She loves shopping there. I think my mum would like a Love2Shop voucher best – that way she would have lots of choice for where to spend her gift! Marks and spencer vouchers. She could treat herself. She likes their food, flowers and clothes so she would have a great time spending it. My mum treats her gran kids to lunch at Fayre £ Square very often so im sure she would love to recieve the gift card for Fayre and Square. Many thanks and lots of luck everyone. love to shop – she certainly does! My mum would really appreciate the Love2Shop vouchers. There’s so many places where it can be spent, and she could get exactly what she wanted with it. My Mum would love the Boots gift voucher as they have so much choice. My mum (being a lady of a certain age!!) is addicted to M&S so that voucher please. My mum would love the Debenhams voucher because there is such a wide variety of lovely things to choose from. I’d opt for a Sainsbury gift card because it would give her a wide choice of chocolates, dvds and clothes under one roof. my mum would love a cinema one as she loves going to see the lastest films! My Mum would like the Love 2 shop voucher as she loves to shop! Love 2 Shop because you can use multiple stores! Amazon, because you can buy anything on Amazon! love2shop she would have a lot of choice! My Mum would love to receive a Marks and Spencer voucher. She is a very petite lady and the shorter length clothes that they sell are perfect for her. they also have a wide range if shoes in a size 3 for her too. I think she’d like M&S so she could treat herself to some new undies! Thats what I’d pick too! deffo Love2Shop can pick from so many different retailers for the perfect gift! She’d love the Marks and Spencer voucher so she could buy some of their yummy food. M&S because she loves comfy jim-jams and onesies in the evening. She would love a John Lewis voucher so that she could treat herself to some posh bubble bath. Love to shop, because it can be used in lots of different stores. My mum would love the marks and spencer gift card as she is obsessed with their chocolate treats. love2 shop i think because i’m not sure which shops are in her local town centre and she doesn’t shop online. argos voucher because she shops there all the time and gets her electronics there. House Of Fraser because she is perfume mad and would love to try out a new one! My mum would love the M&S voucher as she is only little and they do short measurements, and it will wonderful to see her buy something for herself. I’d love to be able to present my Mum with a Love2Shop voucher. Fingers and toes are now crossed!!! I think she’d like a Love2Shop because there;s so much choice available. marks and spencers…..because she is still of the belief that m&s is posh!!! She a massive M&S fan!! The Love2Shop vouchers would be great, much a wide choice and with my mother being very indecisive these would be amazing!! Love2Shop because it’s versatile and can be used for whatever she wants! She’d love a Debenhams voucher so she could buy some nice clothes. I’d go for Debenhams. Mum really likes shopping there and loves their kitchenware and homeware departments so she could pick something new and summery for the house, which she loves. Marks and Spencer’s as she loves their clothes. It’s got be an M&S voucher, so many goodies she can get! She would like M&S So she can put them towards and outfit for my Brothers wedding in July! She would like Debenhams because she thinks it’s a treat to shop in there. she would love one from M&S! A Love2Shop voucher would be perfect for my mum because it describes her perfectly! My mum would love the Marks and Spencer voucher as she travels on the bus everyday to her local city to do window shopping, buy a cup of tea and then go home, she loves to get out and about ! Definitely Marks and Spencer’s! For their chocolate, bubbly and a Madeira Cake! My mum would love the Love2shop voucher as she can spend it anywhere. I would encourage to try places she hadn’t been to before and we would have a lovely day together helping her spend it. Marks and Spencers, she would enjoy buying some lovely food and flowers there. M&S food, clothing… plenty of choice. M&S, SO SHE CAN GET SOME NEW PANT’S. I’d choose a love to shop voucher as there is so much choice with them. Perfect for a treat! My mum would love a M&S voucher as this is her favourite store even though she doesn’t often shop there for herself but is always treating everyone else. Would love for her to have a treat. My mum would like the M&S voucher as she loves to shop there, clothes, furniture, food, gifts, she’s a devout M&S’er! An iTunes voucher to top up her music collection! Amazon as she loves to read! Love2shop, definitely :) She likes having options! Selfridges so she can treat herself to something special that she wouldn’t normally buy for herself! I would give her the amazon voucher as she loves getting lots of little knick knacks and a good film. I’d treat her to M&S vouchers because I know she likes their clothes. Simples! Debenhams as she would think of that as a real treat. Amazon vouchers because she loves to shop on line. A mArks & Spencer Voucher would go down a treat – they have so much to offer! My mum has always given me everything ive wanted and more so im sure she’d love ‘love2shop’ vouchers, and by eck does she deserve a treat. My mum would love the M&S Voucher as that is the only shop she really visits, she adores all their products.. clothes, food, Flowers & soft furnishings etc. Love to shop please – she could spend all day shoping then, so many shops to choose from. The Marks and Spencer Voucher would be great. Knickers and food from M&S would be her first stop. My mum would love an M&S voucher! My mum would love the Love2Shop voucher then she could spend hours deliberating on which of the many stores to spend it in. It would have to be the Love2Shop voucher, as she likes to have a choice. Love2shop as it has the best choice, and if she changes her mind its not a problem! My mum would love a department store voucher so she could buy something nice. my mum looooooves marks & sparks! the M&S vouchers. She swears by everything that they sell! I think she’d like a love2shop as they can be spent in so many places, she could buy herself lots of things. My mum would like the voucher for Next because it’s her favourite place to get clothes from. The Restaurant Choice voucher as we both enjoy a lazy lunch to chat and enjoy a glass of wine. My Mum loves M&S so i would definitely love to give her £50 worth! I know that she would love an M&S voucher as she adores their Per Una clothes! Sainsbury’s, So she could pick up something special for herself whilst doing the weekly shop. M&S would be wonderful so she could treat herself to some new underwear from their gorgeous new spring collection. Mum brought me up to know be M&S so a gift card for our favourite shop would be perfect to treat her to something for spring and for an M&S lunch! M&S – Great for fab fashion that lasts and the food, even find myself shopping there nowadays! Marks and Spencers – she loves their clothes!!! she would love the m&s voucher because she could treat herself but i know she wouldn’t be able to resist spoiling my daughter, her first grandchild. My mum would love the M&S voucher. She loves M&S food and the clothes. Debenhams – she’s in there that much that my Dad says its like her local corner shop. It’s her most favourite store. My mum would love the Debenhams card because she treat herself to a wonderful treat without having to buy for everyone else first – she can also take lots of time to decide! Debenhams as there’s so much choice. John Lewis – to buy some Waitrose treats with. My Mom would love a Marks and Spencer voucher, she loves it in there and so do I! My mum is a huge Debenhams fan, so I’d say Debenhams Voucher. my mums a marks and sparks o holic and deserves to be spoilt! Mum would love the Debenhams card the most so she could treat herself to a nice bag. My Mum would love a Debenhams voucher so she could buy a lovely new handbag! A love to shop voucher would be ideal as she could treat herself a little in a number of different shops! Would be a difficult one as my mum loves everything! But would have to say Love2Shop so then she could choose for herself!! Ticket master! She loves going to see shows. A Love to Shop voucher please because they are accepted at Iceland and she’s heard the advert! It would hve to be between to Love to Shop, Debenhams and Amazon. 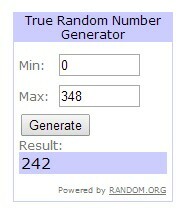 I would have to decide at the time if I was lucky enough to win. would have to be love 2 shop vouchers so she can treat herself to whatever looks pretty on the day she goes out to spend! what freedom! My mum would the love2shop vouchers as they are accepted at so many shops! She would be spoilt for choice! I doubt my old dear would like one of them Virgin hot air balloon experiences. Maybe we shall stick to the gifts and cards from Vex. She’d probably prefer the Love2Shop vouchers, as they would give her the most choice. I think my mum would like M&S vouchers, whenever we’re in there she always finds something to buy! Mum would love Debenhams vouchers. She could spend DAYS in there! She would definitely go for the Love2shop voucher because she is a bit of a bargain hunter! Love2Shop as she can get lots of craft bits and bobs. A B&Q voucher would be really really handy! I think she would love the love2shop one because she already has some and can put them together to buy something really nice and special! My mum would love the high St voucher. Amazon, as there is just so much choice! Debenhams – shes forever in there! She would love an amazon voucher – so much to choose from! Love2Shop as she could have a lovely spend in the high street, what a lovely time she would have and she deserves it too. I’d choose a Love2Shop voucher because my mum is so difficult to buy for that at least she could choose for herself! Love2shop would suffice as her taste vary weekly. I’d go for the m&s ones, every mum likes a bit of luxury food every now and then hey! Amazon because they sell almost everything!